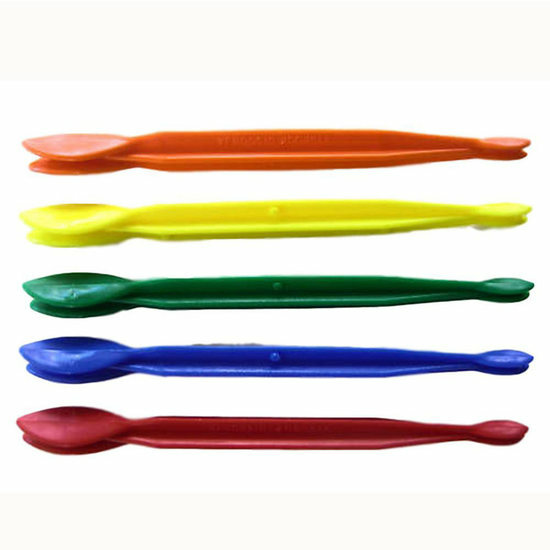 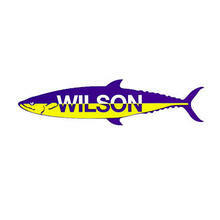 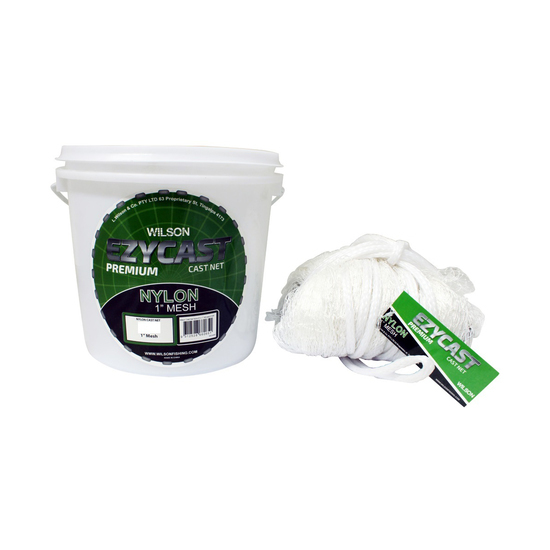 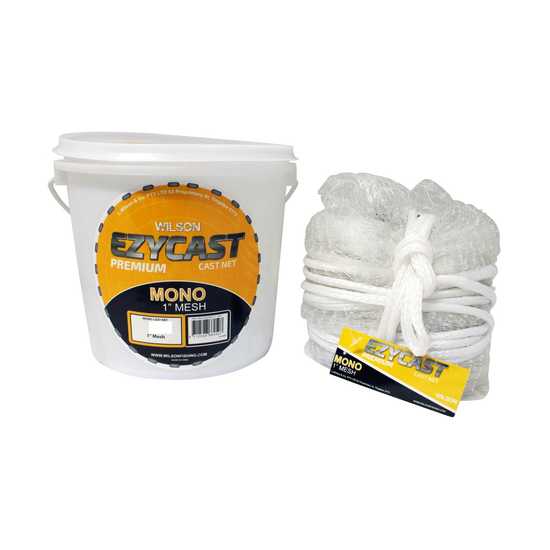 The Wilson Ezy-Cast Mono net is designed for general cast netting situations where you may come across bait and prawns. 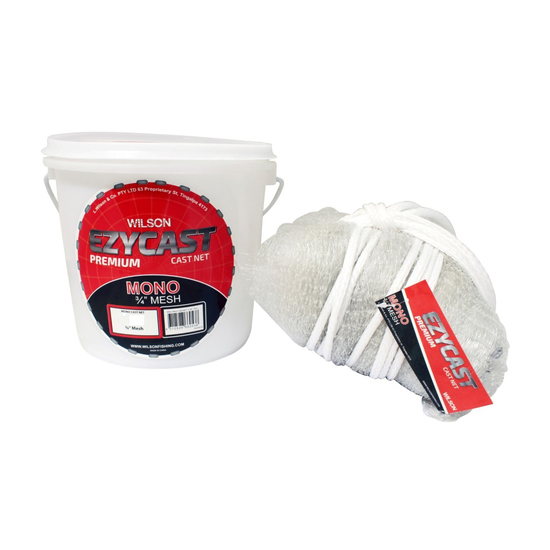 Designed with the highest grade ropes and swivels, this Ezy-Cast Mono net is constructed with a 1" mesh. 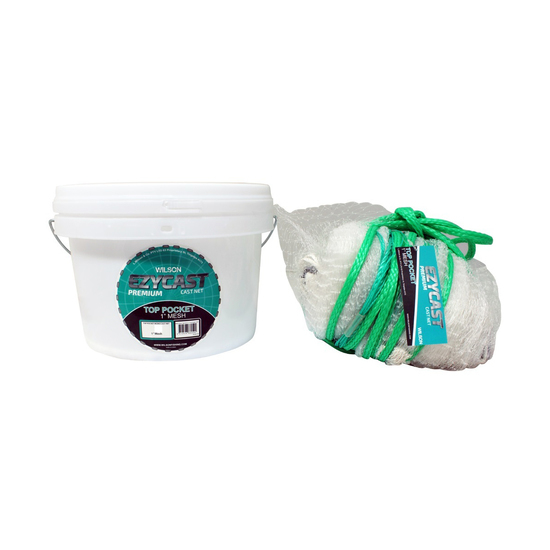 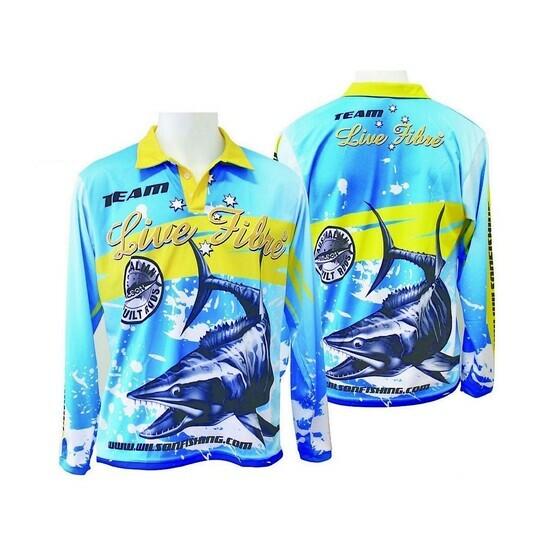 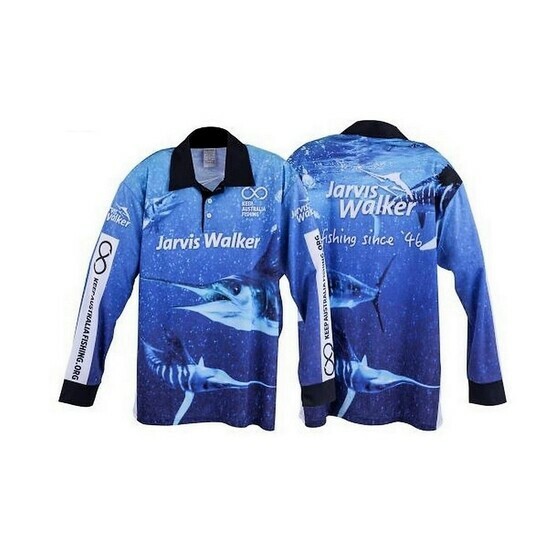 Each net features a perfectly placed and tied bottom pocket and the use of lead on the bottom gives this net an easy casting function and the lead weights are double roped onto the net. 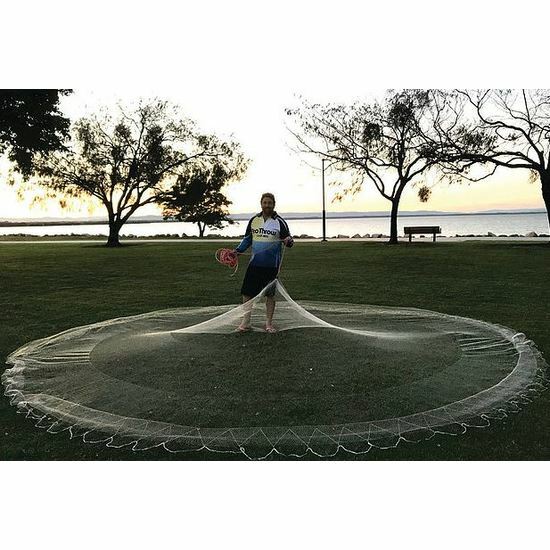 This means the weights are secured in the one place making it impossible for them to move providing better casts and a durability unseen in single roped nets. 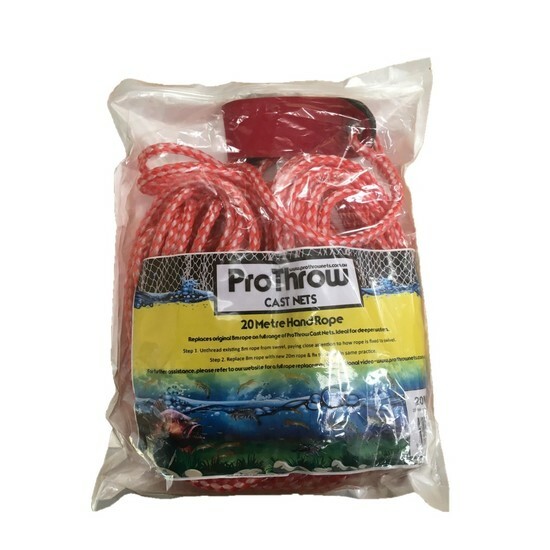 Available from 6' drop right up to 12' drop. 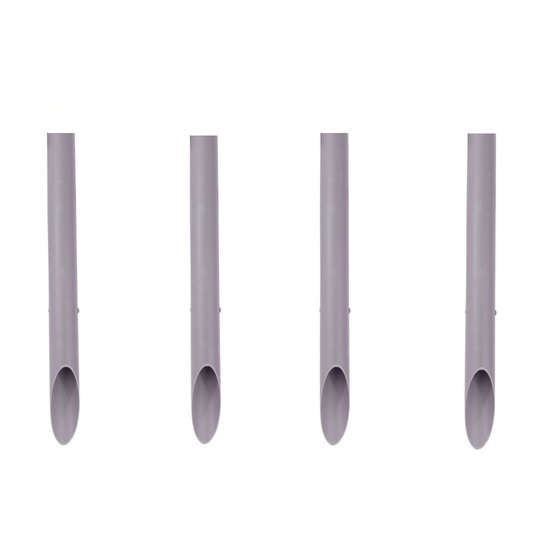 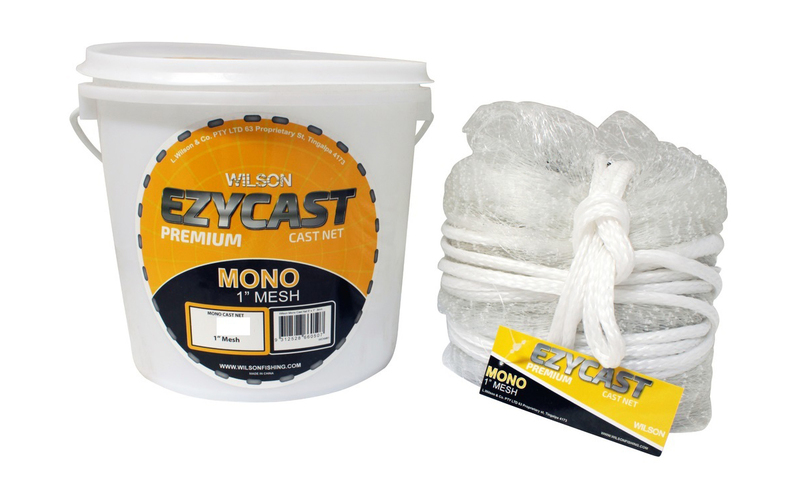 The Ezy-Cast Mono nets will give you performance, options, strength and reliability in one package.